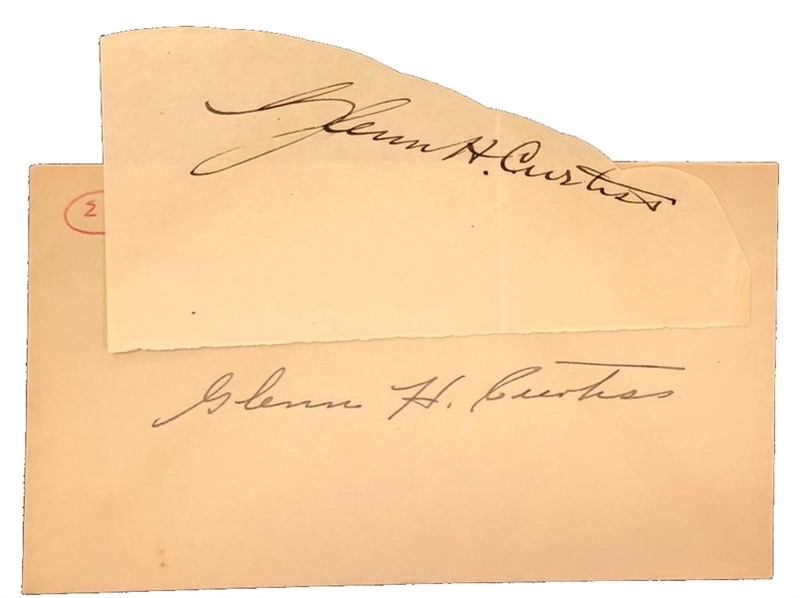 Uncommon clipped fountain pen signature from this pioneer aviator and manufacturer.In fine condition accompanied with original collectors envelope. Glenn Hammond Curtiss (May 21, 1878 – July 23, 1930) was an American aviation and motorcycling pioneer, and a founder of the U.S. aircraft industry. He began his career as a bicycle racer and builder before moving on to motorcycles. As early as 1904, he began to manufacture engines for airships. In 1908, Curtiss joined the Aerial Experiment Association, a pioneering research group, founded by Alexander Graham Bell at Beinn Bhreagh, Nova Scotia, to build flying machines.